Challenge Wanaka, New Zealand’s largest annual triathlon festival, is teaming up with CLIF Bar as its official nutrition supplier for 2014 with on-course hydration supplied by the Nuun range of sugar-free sports drinks. 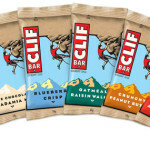 CLIF Bar is the leading energy bar in the United States and Canada. They are made from wholesome and 70% organic ingredients, are a source of protein and have eleven vitamins and minerals. Challenge Wanaka athletes will be able to refuel around the bike and run courses with the popular Chocolate Chip CLIF Bar and a combination of Chocolate, Razz and Citrus CLIF SHOT energy gels, the latter packing an extra boost with 25mg caffeine. 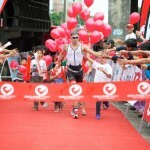 Race director, Victoria Murray-Orr said endurance athletes are increasingly looking for nutrition products with more natural ingredients that fit with their healthy lifestyles but that still deliver the right balance of energy for training and racing. “CLIF Bars and energy gels not only taste good but also don’t contain a list of ingredients that look like a science project. They’re a natural fit with the local vibe in Wanaka and what is widely regarded as the most scenic iron-distance triathlon course in the world,” she said. CLIF Bar energy bars are now available in New Zealand in six flavours: Chocolate Chip, Crunchy Peanut Butter, Oatmeal Raisin Walnut, Blueberry Crisp, Chocolate Almond Fudge and White Chocolate Macadamia Nut. 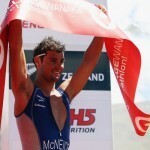 In a tandem announcement, Challenge Wanaka also unveiled Nuun as its supplier of on-course hydration for January’s race. Nuun (pronounced ‘Noon’) tablets contain electrolytes fortified with sodium, potassium, magnesium and calcium for optimum hydration. Unlike other sports drinks Nuun is sugar-free with less than eight calories per serve and the optimal blend of the four key electrolytes required to maintain proper muscle and brain function. “Essentially Nuun will provide optimal hydration without all the junk – especially important on the run course where temperature can get very warm in the late afternoon. When teamed with CLIF products, athletes will receive the optimal mix of fuel and hydration to take on triathlon’s ultimate distance,” continued Ms Murray-Orr.